Riad Karmela i Marrakech, Marokko: Reservér nu! The Riad Karmela is located right in the heart of the old Medina, only 8 minutes walk from the main square Djemma El fnaa, 2 mn from the entrance of the Souks (market) and also 2 minutes from the Museum of Marrakech and the Medersa Ben Youssef. 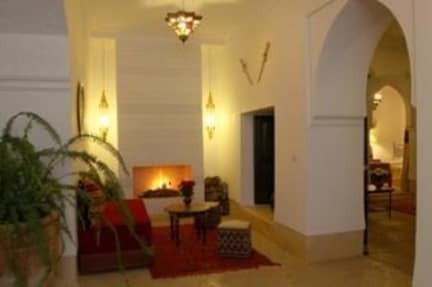 You will appreciate the calm and the elegance of that large Riad which has just been renovated. Enjoy a plunge pool in the Patio in the shadow of the Orange trees or relax in the traditional hamam after an exciting shopping day in the Souks.